Vimbly assigned me, their hippest worker (or at least thatâ€™s the title Iâ€™m giving myself), to find the absolute best hip hop class in NYC. To preface, Iâ€™ve never considered myself a good dancer. Generally, my dance moves consist of leaning against a wall, nibbling on a pretzel, and scurrying across the dance floor trying not to make physical, or eye, contact with anybody. When I do dance, a rare sight, I generally bust out a flurry of movements, combining the finger-snapping prowess of George Michael and the subtle kicks of Elaine from Seinfeld. You see where Iâ€™m coming from? Upon entering PMT Dance Studio, I instantly embraced the bare-bones atmosphere. This is a dance studio, no frills. No need to impress amateurs with Broadway lights and glimmer. I felt like Rocky in the Italian Market, except there were no carcasses or mustached men to bemoan my presence. In all, PMT breathes dance in an underground sort of way. I shuffled into the room nervously, seeing as this would be my first ever dance class. I expected the worst. I was expecting Levi, our instructor, to me an intimidating, Apollo Creed character, shouting instructions like a drill sergeant and inevitable showering us with his spittle. And I expected to be like Chunk from The Goonies, filled with fear and kind of hungry. Once everyone entered the classroom, our class was small. There couldnâ€™t have been more than ten people. I later realized the value of this class size because it meant more individualized instruction, which I needed. A lot. 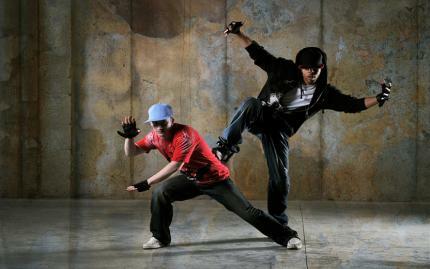 *As an aside: Contrary to the film Step Up, skinny jeans and a cardigan arenâ€™t proper hip hop attire. Wear some shorts and a t-shirt. Levi was nothing like the Apollo Creed Iâ€™d conjured moments earlier. He was a genuine instructor who cared about my ability to master these moves. He made sure instruction never went beyond anyoneâ€™s grasps, and, when one faltered, he didnâ€™t hesitate to help. Beyond that, the room was fun and lively, and the music made it so much better--even if my nagging requests for some George Michael or Totoâ€™s â€œAfricaâ€ were denied. Levi maintained a high energy level throughout the class, but it never became overbearing. Iâ€™d fall behind, or someone else would, and heâ€™d pause and make sure we caught up. 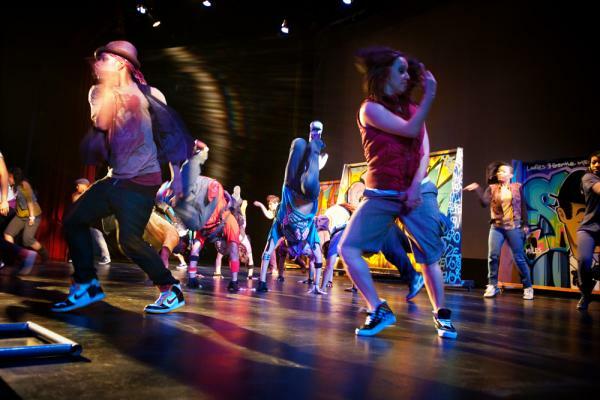 It was one of the few beginner hip hop classes I took where the class was designed for the beginner and not merely as a â€œdrop-inâ€ for any level. By classes end, sore (I somehow managed a bruised knee. I never fellâ€¦) and drenched in sweat, I left feeling a bit more confident embracing the rhythm of music and dance. Something Iâ€™d never experience previously. Of course, this doesnâ€™t mean Iâ€™m going to pop, lock, and drop, under the name â€œUh-Oh Oreo,â€ the next time I hit the club, but it means that I wonâ€™t, or hope not, be struck and paralyzed with the same fear I usually am. Levi and PMT Dance Studio. Iâ€™d like to say thank you!